Fully furnished 2 bedroom, 2 bathroom luxury condominium located at Marbeya's complex, which is a quiet gated community. This 12 year old unit was remodeled in 2007 and includes new appliances, carpet, paint and most furniture. This second floor unit provides vaulted ceilings and a beautiful view from the patio area. This fully furnished unit also includes a fully equipped kitchen with dishes, cookware and utensils. Other features include a spacious master bedroom that has a a king size bed and there are two twin beds in the second bedroom, central air, a full-sized washer and dryer, two TV's with cable service, a DVD player, and high speed Internet. The community pool and whirlpool, which are heated year round, have both been remodeled in 2008. There are also two barbeque gas grills available at the pool for your use. Conveniently located just 20 minutes from the airport and just minutes away from excellent restaurants, shopping, hiking and biking trails, as well as many popular golf courses. The property is in a good location - close to restaurants, hiking trails, and shopping. Unit has everything you need. Owner responds quickly and is easy to deal with. Would stay here again. We had a great time. Condo was clean, and well taken care of. The location is great. Any questions we had were answered right away, we didn't have any problems. The pool is great. We will be back for sure, and we would recommend this property to all friends and family. We went to dinner at the Talking stick Casino, The Italian Grotto in Scottsdale. We hiked Squaw Peak Mountains. There is definately alot to do including just relaxing by pool. Our recent stay at property 205181 condo was perfect for our annual Spring Training trip. 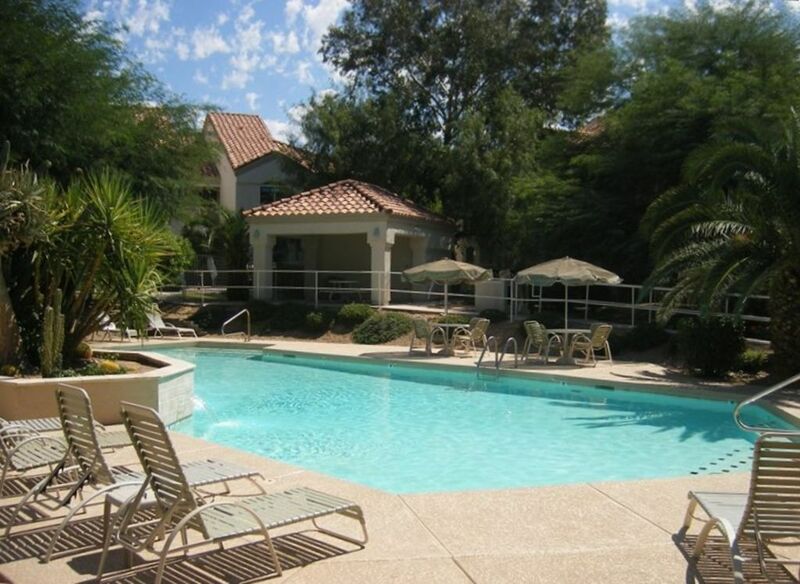 The location is ideal for easy access to baseball stadiums and everything we wanted to do in the greater Phoenix area. All the comforts of a relaxing home-away-from make this condo a do-not-overlook rental! We had a girls week in Paradise Valley and had a great time. The condo was perfect. Full kitchen but we didn't use it, no cooking on vaca..There are great restaurants in the area and alot of sight seeing, shopping and of course Camelback resort 10 minutes away. We will be going back next year. We had a great time staying at the condo. The condo was very comfortable and we enjoyed sitting out on the porch watching the coyotes in the wash below. Great place to relax.